Prime Minister Narendra Modi Today announced that the five hundred rupee and thousand rupee currency notes presently in use will no longer be legal tender from midnight tonight, that is 8th November 2016. “This means that these notes will not be acceptable for transactions from midnight onwards. The five hundred and thousand rupee notes hoarded by anti-national and anti-social elements will become just worthless pieces of paper. The rights and the interests of honest, hard-working people will be fully protected. 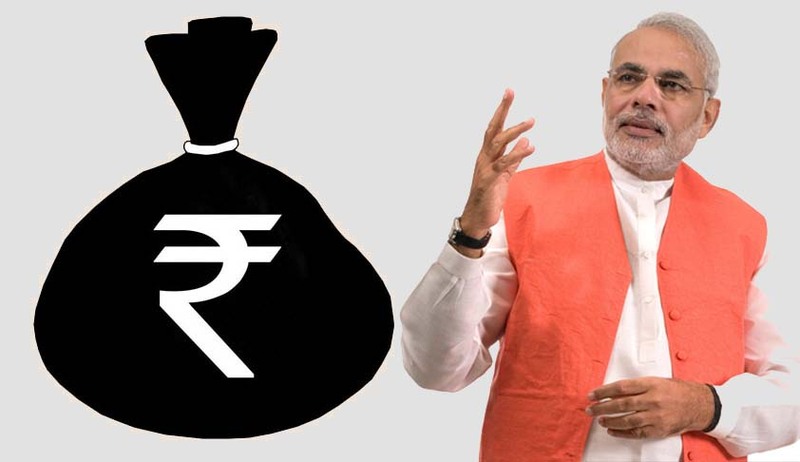 Let me assure you that notes of one hundred, fifty, twenty, ten, five, two and one rupee and all coins will remain legal tender and will not be affected.”, he said while addressing the Nation. Here is the list of 22 important things you need to know about it. Five hundred rupee and thousand rupee currency notes presently in use will no longer be legal tender from midnight tonight. Persons holding old notes of five hundred or one thousand rupees can deposit these notes in their bank or post office accounts from 10th November till close of banking hours on 30th December 2016 without any limit. Thus you will have 50 days to deposit your notes and there is no need for panic. Your money will remain yours. You need have no worry on this point. After depositing your money in your account, you can draw it when you need it. Apart from depositing your notes in your bank account, another facility will also be there. For your immediate needs, you can go to any bank, head post office or sub post office, show your identity proof like Aadhaar card, voter card, ration card, passport, PAN card or other approved proofs, and exchange your old five hundred or thousand rupee notes for new notes. From 10th November till 24th November the limit for such exchange will be four thousand rupees. From 25th November till 30th December, the limit will be increased. There may be some who, for some reason, are not able to deposit their old five hundred or thousand rupee notes by 30th December 2016. They can go to specified offices of the Reserve Bank of India up to 31st March 2017 and deposit the notes after submitting a declaration form. On 9th November and in some places on 10th November also, ATMs will not work. In the first few days, there will be a limit of two thousand rupees per day per card. This will be raised to four thousand rupees later. Five hundred and thousand rupee notes will not be legal tender from midnight. However for humanitarian reasons, to reduce hardship to citizens, some special arrangements have been made for the first 72 hours, that is till midnight on 11th November. During this period, government hospitals will continue to accept five hundred and thousand rupee notes for payment. This is for the benefit of those families whose members may be unwell. Pharmacies in government hospitals will also accept these notes for buying medicines with doctors’ prescription. For 72 hours, till midnight on 11th November, railway ticket booking counters, ticket counters of government buses and airline ticket counters at airports will accept the old notes for purchase of tickets. This is for the benefit of those who may be travelling at this time. For 72 hours, five hundred and thousand rupee notes will be accepted also at. Crematoria and burial grounds.e outlets will have to keep proper records of stock and collections. Arrangements will be made at international airports for arriving and departing passengers who have five hundred or thousand rupee notes of not more than five thousand rupees, to exchange them for new notes or other legal tender. There is no restriction of any kind on non-cash payments by cheques, demand drafts, debit or credit cards and electronic fund transfer.